· It is the study of the vegetation of the entire tract. i. To know whether there are one or more plant communities. ii. To know whether the soil of the tract is more or less uniform. iii. To know the physiology of the area. · It is often difficult to study the vegetation of an entire tract (say a forest). · Therefore particular units of the area representing the whole tract are studied. · This limited study of sampling is called Intensive Survey. · The intensive survey concentrated work is carried out as many information’s are collected as possible. · This is very important part of field work and should be done by an experienced, professional, well conversant person. · Stock maps are generally prepared on scale 1″ = I mile of G.T. Sheet (General Topographic Sheets). · In the hilly areas, stock maps are best prepared by inspecting the forest from opposite side of the valley by using suitable symbols in the field but afterward it is fine-tuned showing every species with different colors e.g. · It is necessary both for silviculture and utilization that a complete picture of the actual growing stock is available by small units of area such as compartments and sub-compartment. · A rough idea of the required information can be obtained by ground reconnaissance, or with the help of Aerial photographs, STOCK MAPS prepared from the above show, by compartments or sub-compartments such details as structure species distribution, site quality, stocking, adequacy or otherwise or regeneration etc. · A more detailed picture emerges from an actual enumeration by sampling or 100% count, especially if quantitative regeneration surveys and growth studies are also carried out at the same time. · The variety of morphological adaptation is so great it is useful to have for the sampling stage of the survey a system of description of some basic aspect of plant morphology that may occur in different combinations. · A system of symbols of basic form and aspects has been introduced by Dansereau for terrestrial plants. · Such a system can be useful in describing, the structure of the vegetation even if the floristic analysis gives difficulties. · It is well-known fact that all plants are confined to certain habitats. · This is a result of their demands for environmental conditions which ensure their survival as individuals and as a species. · Man has always used plats as site indicators e.g. In the search for water in Desert areas. · The scientific approach towards questions concerning the geographical distribution of plants, the mapping of these features and the practical application of maps has resulted in a fast-expanding science called “PHYTOGEOGRAPHY” OR “PLANT SOCIOLOGY”. · WESTVELD (1954) points out that: “A ground-vegetation type map is the practical equivalent of a typical management map. Therein lies its real value, for ground-vegetation types can be translated directly into site potentialities. They also provide a sound basis for proper orientation of silvicultural goals”. · KUCHLER (1967) put for that: “The value ground-vegetation maps lies in the fact that tree species often have broad ecological tolerance and will occur on various Biotopes…… finer distinctions between site qualities are shown much more effectively by the Herbaceous sinusitis”. · The actual vegetation/stock must firstly be mapped. · The preparation of maps showing the “Potential Natural Vegetation” follows, which then add to the points of reference for all further activities. · Research on plant sociology is, therefore, an integral part of site evaluation in forestry. · A variety of methods have been developed to characterize vegetation/stock e.g. one can use the physiognomy of plants to distinguish between vegetation types. · General consideration of location, size, and the number of plots. · This method is based on the use of sample plots. 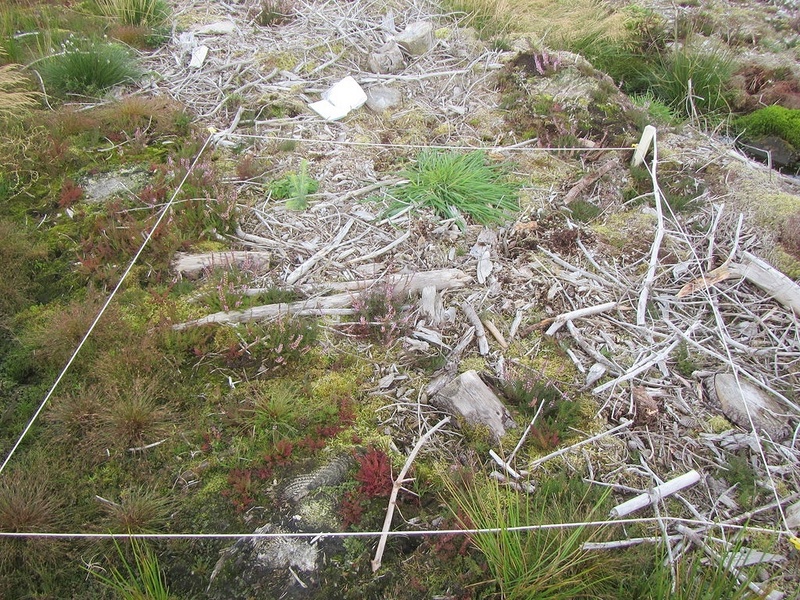 · A number of such plots are studied throughout the area of the plant community to be mapped. · The plots should be uniform floristically, ecology and in size, and should be located well within the area of the community. · Experience has shown that 100 to 200 sq. meter is an appropriate size of sample plots in temperate forests. · The number of sample plots to be analyzed depends on the scale and purpose of the MAP. · For forests with geophytes (like bulbous plants, mostly occurring in spring) spring is the best mapping season. · Further mapping should be done if new plants occur later. · A sampling sheet is prepared first. · In addition to the presence of plants, their DOMINANCE and ABUNDANCE should be recorded. · The estimation of the degrees of coverage should be the first method to be applied. Extremely small portion of the area, one or two specimens. · The different layers of forest vegetation are usually mapped separately, beginning with the trees and further including herbs and even mosses, lichens or epiphytes, where they form an important part of the flora. · The floristic analysis of all sample plots are brought together in a table. · The table work helps to achieve an easy to survey and a condensed picture of the characteristics of a plant community. · Firstly, all recorded species are listed and their frequency is noted. · Then a Raw-table “Extract Table” “Orderly Extract Table” finally one gets, as a result, a “Differentiated Table”. · Only species with the frequency of at least 50% in the average frequency range within these groups are acceptable. · These species from the “Mapping Key” which is used in the field to map the geographical distribution of the plant communities. · The mapping key has to be checked in the field and if necessary corrected, adjusted or supplemented through further analyses. · The last step is the actual field mapping i.e. showing the boundaries of recognized units on a map. · The mapper walks through the recognized plant community and draws a boundary on the map whenever the species composition changes noticeably.